Quarantine The Ultimate Machine! Nourishing Full body Fortification! Flavored for No Multi Vitamin Taste!Perfect Addition to any Supplement Stack to Optimize Health! Quarantine was developed from the desire to push the limits on what defines full body and immune protection. 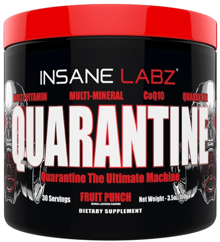 Breaking the stereotype of what a multi-vitamin is, Quarantine is hitting the market as a powdered powerhouse that packs a defensive punch. Comprised of some of the most beneficial nutriment ingredients, you can rest assured that Quarantine is putting your bodies health on lock-down and delivering optimal nourishment for your everyday needs. 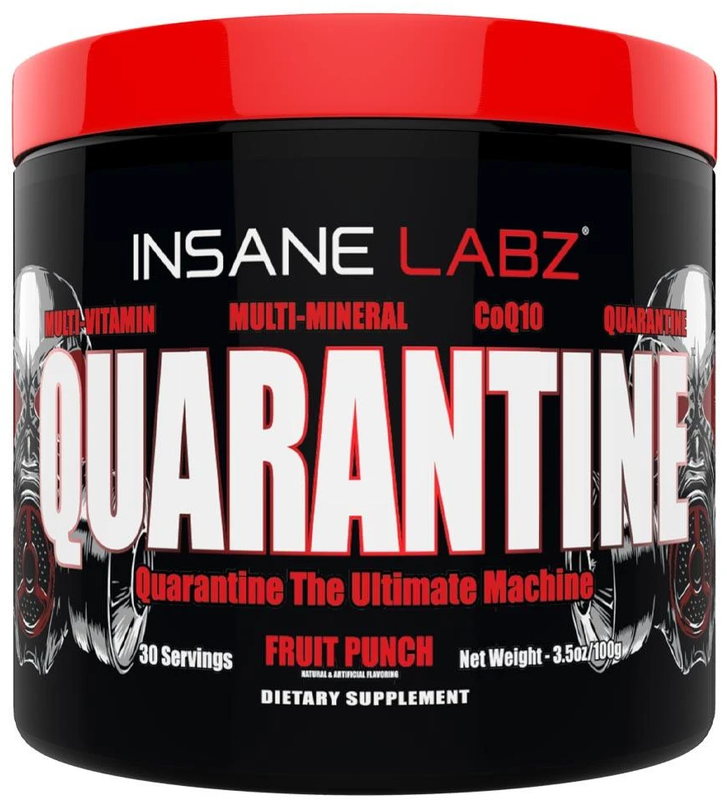 Quarantine comes in two delicious flavors; Fruit Punch and Natural Fruit punch for those who wish to have natural flavoring and coloring. Whether you are looking for the extra protection in your nutritional regimen or you’re simply looking for a well-rounded multi-vitamin, Quarantine has you covered. Try it today!